Here’s a comment from Tami from a previous post, and a question about how to naturally attract men when you’re online dating and responding to emails. Thank you, Tami! Online dating is an amazing tool for meeting men you wouldn’t otherwise cross paths with in real life. I always encourage my clients to try online dating if they’re looking to meet a great man – or many great men! It’s also how I met my amazing husband. 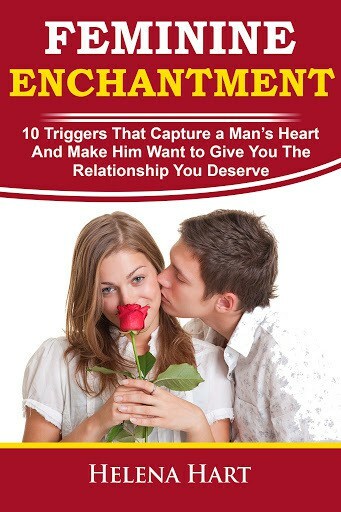 You want the man to be the initiator when it comes to dating – while you’re leaning back in your feminine energy – and this applies to online dating as well. I wouldn’t recommend spending hours actively searching for men online. You want to put up your profile and a couple of great pictures, and then just see who shows up in your inbox! This will give you a lot of information about what kind of men you’re attracting and who’s picking up on your vibe – without any sort of prompting from you. The man may respond to your email, and you may even talk on the phone or go out on a date – but from what I’ve found, the likelihood of it turning into anything more than that is much greater if the man was the first one to initiate contact. This has been my experience and the experience of most women I know – you get to explore and experiment! You can always try emailing a man first and see what happens. But generally speaking, I’d recommend just responding to whoever shows up. 1. The first line should be something about his picture. 2. The second line should be something about his profile. That’s it! Don’t say, “Looking forward to talking to you…” or “Hope you have a great day…” – just come up with a couple lines using this format, and sign your name. This should only take a minute or two for each email you respond to, which will keep you from burning out and losing motivation – since no one wants to spend hours coming up with long paragraph responses for every email you receive. This will also keep a man’s energy coming towards you – try it and see what happens! 7 replies to "How To Respond To Emails When You're Online Dating"
I like the simplicity of this approach and so far it has worked really well for me as a tool to get back into circle dating mode. It has kept me from initiating and then wondering “has he responded yet?” Not over investing in a guy, especially one I haven’t even met yet, is really freeing! YES! That’s exactly how it works! What you’re looking for is a man who’s energy is coming TOWARDS you, not the other way around. Beautiful, Helena. When I read the “Rule of Minimal Effort”, I thought: “Wow, right on!” What a beautiful “rule”. No chasing, just accepting what is. the reѕt of the website iѕ very good. Fabulous! Who is coming towards you?!!! Thanks Poppy!! So glad you enjoyed it!